Police have located the vehicle which was used by missing Fiji duo – Krishna Swamy Naidu and Ella Joan Blakelock. 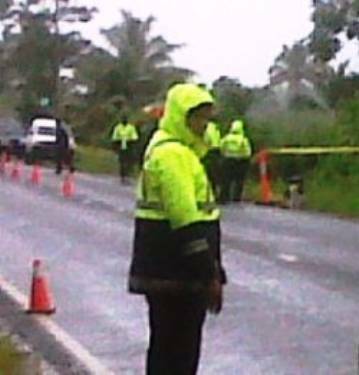 The vehicle was discovered submerged in the Navua river near Vakabalea this morning and police are currently trying to pull it out of the river. It was earlier revealed that the vehicle was a yellow Hyundai company car registration FG762. 41 year old Naidu, who is the director of Samabula based company, Capture Fiji and Blakelock, 44, have been missing since June 19. Naidu and Blakelock left Suva on June 19 for Lautoka on a business trip and were last seen at Field 40 that same evening. 2 Responses to "Missing duo’s vehicle found"